Stephanie Aliaga and Denisse J. Jimenez had so much fun cooking one of our most beloved Latin food, arepas! Take a look at the video to learn how to make some delicious arepas from home. Let us know what you think! Add water and salt in a bowl. Gradually stir corn meal into water with your fingers until mixture forms a soft, dry, moist dough. Divide dough into 8 golf ball-size balls and pat each one into a patty about 3/8-inch thick. Make a hole in the middle of the patty with your finger, stuff the cheese inside and add corn meal on top to cover the hole. Set oven to 350F to bake. 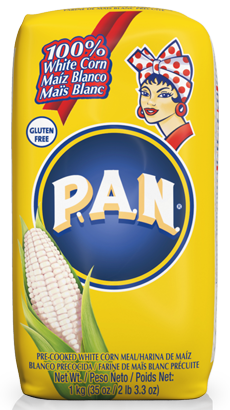 Spray PAM baking spray onto a pan and cook arepas until golden brown, 10-15 minutes per side. Transfer cooked arepas to a paper towel-lined plate to drain until cool enough to handle. What exactly is an arepa? Arepa is flat and round maize dough that can be grilled, baked, fried, boiled or steamed. Its characteristics vary by color, flavor, size and the food with which it may be stuffed in or topped over. What makes an arepa so special is that it is an indigenous tradition that has survived through Spanish colonization and remained mainly unchanged throughout its history. 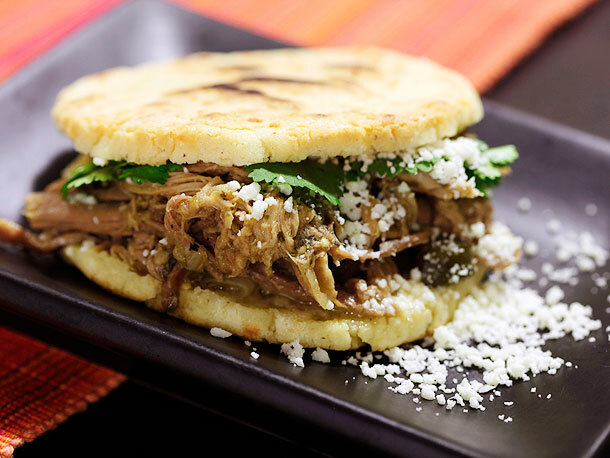 Arepa is a pre-Columbian dish from Colombia and Venezuela and is considered a national symbol in both countries. There is an ongoing debate between Colombia and Venezuela on where the arepa originally comes from. Although it is hard to trace where an arepa was cooked for the first time, historians were able to date the oldest presence of maize. In Colombia, the first record of the existence of corn dates from about 3,000 years ago, while in Venezuela the estimate is about 2,800 years ago. This means “the creation of the arepa most likely happened almost simultaneously in both countries” since it was a point in history without borders, therefore the indigenous were spread all over the land. What kind of meal is it? You can always expect an arepa in a typical Colombian breakfast. It can be eaten as a snack, an appetizer or as a compliment to a main course like bread rolls. In Venezuela, it is common to eat arepas throughout the day as breakfast, lunch and/ or dinner. Arepa is the fundamental base of the Venezuelan diet. According to NPR, Venezuelans annually consume about 750 arepas per person, averaging two arepas per day. Since the 2015 food shortages began, the consumption of arepas has severely decreased. Some say that the arepa is dying in Venezuela due to widespread corn shortages. 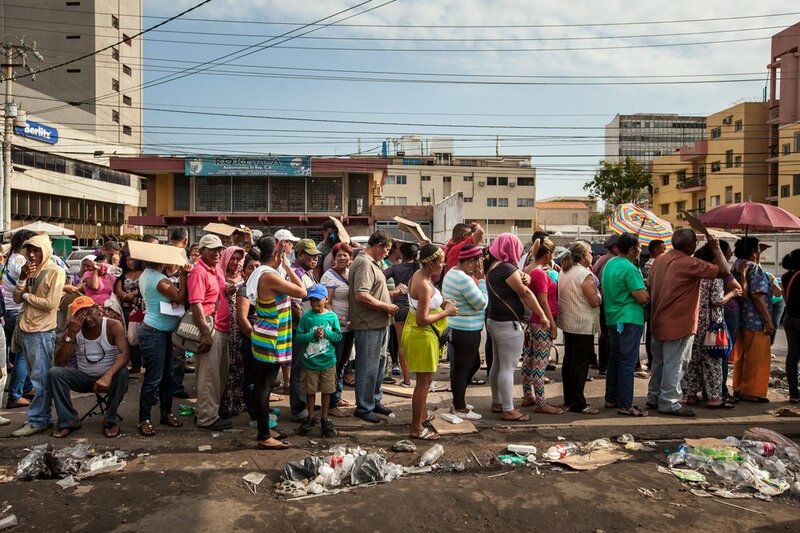 Venezuelans have to stand in line for hours to get their government price-regulated bag of P.A.N. or purchase for much more in the black market. Where can I find arepas? You can find arepas almost anywhere in NYC! There are a variety of pre-packaged arepas in supermarkets and on Amazon. Go to your local Colombian and Venezuela communities to explore different kinds of arepas. If you’re in Queens, do yourself a favor and go to Arepa Lady for some mean Colombian arepas in Jackson Heights and Arepas Café for Venezuelan arepas in Elmhurst.